Dave Kaspar works with a UNG student as they build a Little Free Library. The Little Free Library is a national organization that allows millions of books to be exchanged each year, increasing access to books for readers of all ages and backgrounds. 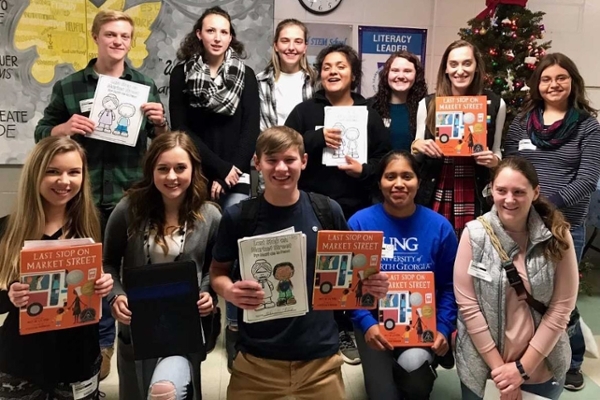 A little help is literally on the way to increase Fannin County's literacy rates by providing another place to pick up books, thanks to a partnership between the University of North Georgia (UNG) and Habitat for Humanity. 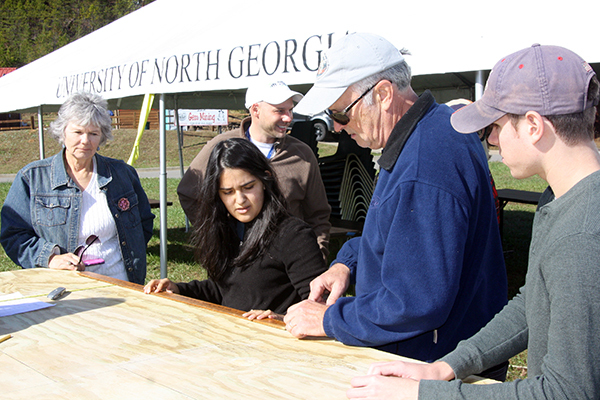 The UNG Blue Ridge Scholars and Habitat for Humanity volunteers built a Little Free Library on Nov. 11 on UNG’s Blue Ridge Campus. Soon it will receive a fresh coat of paint, before being installed on the campus grounds. Students will fill the small box about the size of a post office mailbox with an assortment of books compiled from a book drive. 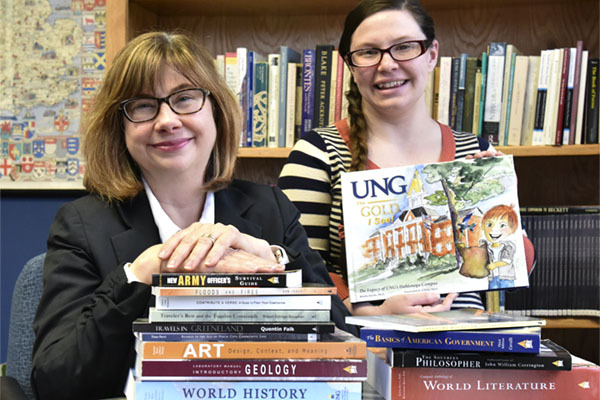 "Donations came from a local church and members of the community," UNG Blue Ridge Executive Director Sandy Ott said, adding UNG students also donated books. 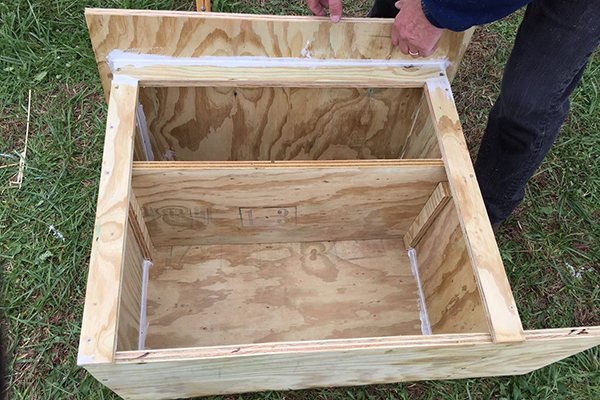 "We have three full boxes now waiting for the Little Free Library to be built." The Little Free Library is a national organization that allows millions of books to be exchanged each year, increasing access to books for readers of all ages and backgrounds. UNG students will be responsible for maintaining it, said Alison Hite, a senior lecturer of psychological science at UNG. Some of those students are UNG's Blue Ridge Scholars, first-time freshmen who take all their classes together, participate in leadership development opportunities and participate in a service-learning component. "Our scholars program's focus is on poverty this year," Hite said. "They’ve learned people living in poverty often have to make difficult purchasing choices, and those choices do not usually include books. With that in mind, Hite hatched the plan to build the Little Free Library with Habitat for Humanity — which had the supplies and construction know-how — as a way to help children and even adults in the community have more access to books. The Blue Ridge Campus is in a tourist area, allowing for good foot traffic and enabling residents to pick up or drop off a free book. "Thirty percent of children in Fannin County are living in poverty," Ott said. Hite, who lives in Ellijay, pointed out many people drive up and down Georgia State Route 515 not realizing people are living at or below the poverty level. According to the U.S. Department of Education, up to 61 percent of low-income families do not have any books for their kids at home. Therefore, supplying free books to area children is one element UNG can do to contribute to the community. 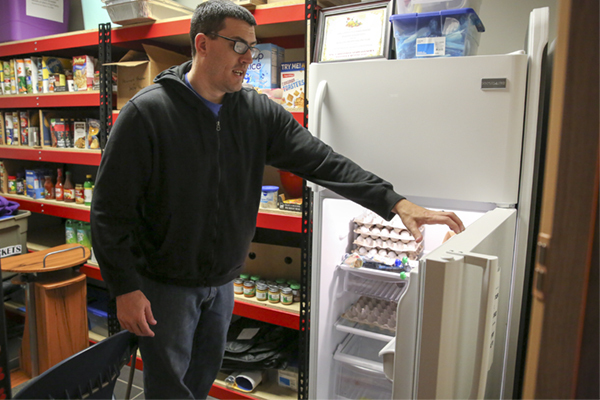 "We want to show the community that we appreciate them, that we are here and that we want to give something back," Hite said. Building the Little Free Library is not the only community outreach UNG Blue Scholars are working on this semester. 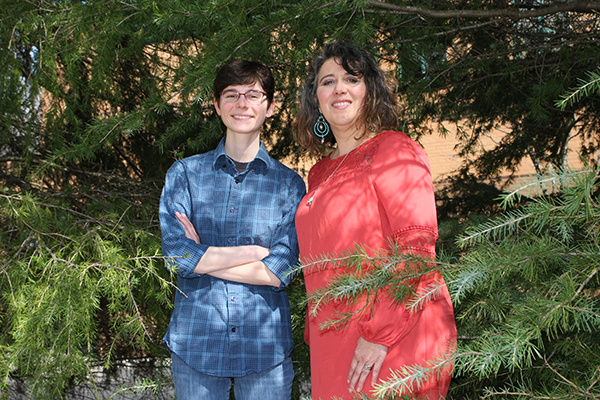 They are working with Fannin County's Family Connection, a collaboration of organizations committed to improving conditions for at-risk children, families and communities. Family Connection works closely with communities to foster relationships with local partners, increase policymakers’ awareness of local issues, implement proven programs and practices, and leverage additional funding to support community plans.